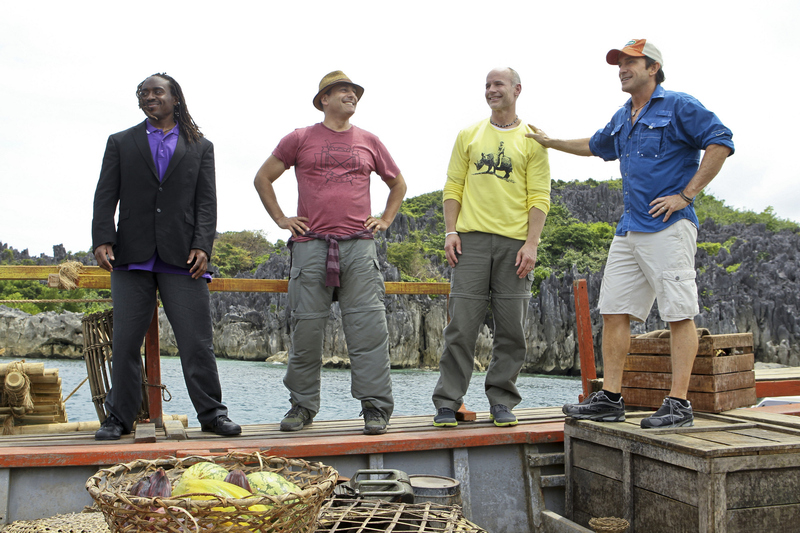 Russell Swan, Jonathan Penner, Michael Skupin and host, Jeff Probst, during the premiere episode of Survivor: Philippines. The twenty-fifth installment of the Emmy Award-winning reality series premieres with a special 90-minute edition, Wednesday, September 19 (8:00 - 9:30 PM ET/PT) on the CBS Television Network. #Survivor. Photo: Monty Brinton/CBS© 2012 CBS Broadcasting Inc. All Rights Reserved.